Bronze. After Greek original of the 4th century BCE. Bust of Artemis? 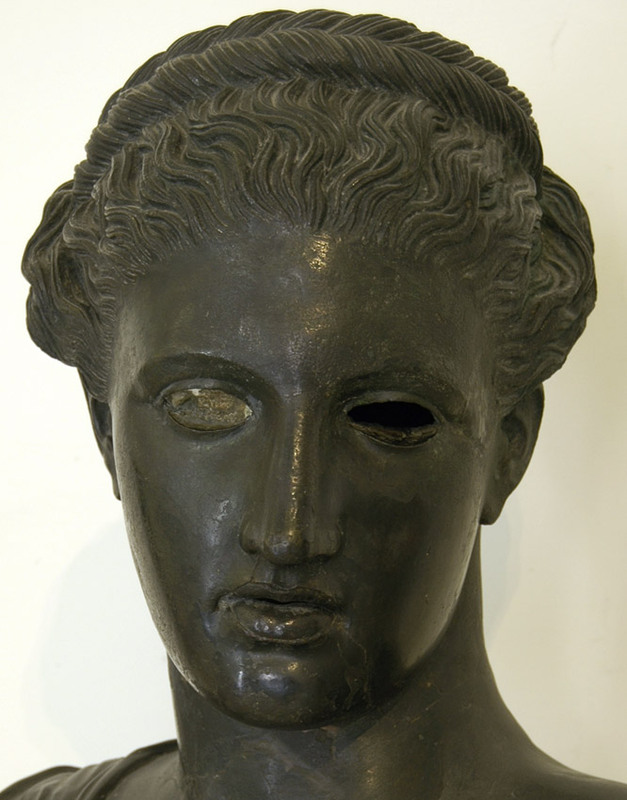 (Bust of Sapho?). Detail. Height 50 cm, height of head 30 cm. From Herculaneum, Villa of the Papyri, large peristyle.